A Czech national has proclaimed the establishment of a new country of seven square kilometers on 'no man's land' located at the border of Serbia and Croatia. A Czech named Vít Jedlicka has declared himself the president of Europe's youngest country, which he formed on April 13 with the name 'Liberland,' and the motto "to live and let live." The country is located on the west bank of the Danube river between Croatia and Serbia, on land which has been subject to a decades-long border dispute and therefore, according to Jedlicka, a 'terra nuillius' or no man's land, before the institution of his state on Monday. President Jedlicka is in the process of writing the country's constitution, which, in keeping with the country's name, "significantly limits the power of politicians so they could not interfere too much in the freedoms of the Liberland nation." "Have respect for other people and respect the opinions of others, regardless of their race, ethnicity, orientation, or religion, have respect for private ownership, which is untouchable, do not have communist, nazi or any other extremist past, and were not punished for past criminal offences." Prospective citizens must send their application via email, since "in the territory of Liberland there is no physical location for mail delivery yet." The country's founder is no stranger to politics, being a prominent member of a libertarian political party in the Czech Republic, and takes inspiration from the microstates of Monaco, Liechtenstein and Hong Kong. According to Jedlicka, the country's boundary "was defined so as not to interfere with the territory of Croatia or Serbia," and makes it the smallest sovereign state in Europe, after the Vatican and Monaco. The new state has already roused the interest of prospective migrants from neighboring countries in its forums, who have inquired about life in Liberland, including what the official language will be, and "is there a national anthem?" "Nobody knows Czech," explained one from neighboring Croatia, while another suggested Czech, English and Serbo-Croatian serve as the country's languages. "Do we need really an official language? 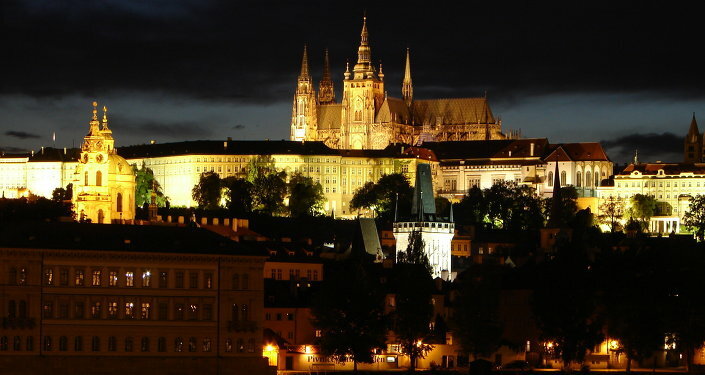 Everyone should be welcome and everyone should try to communicate with the others," commented a Czech contributor. Liberland may be Europe's newest principality, but it is not the first such self-proclaimed country. In 1967 Paddy Roy Bates founded the state of 'Sealand' on HM Fort Roughs, a former British military installation in the North Sea. Before his death Bates named his son Michael, who lives in England, as regent of the territory.